This is a touching, well-written article originally published August 28, 1967, by the Guardian in the UK, on the day that Beatles manager Brian Epstein died at his home in London. He was only 32. In the years since, many have suggested that his death was suicide, but friends insist and history shows now that it was accidental. Mr Brian Epstein, who built up the Beatles, Cilla Black, and others from obscurity to international fame, was found dead in bed in his home in Belgravia, London, yesterday. He was 32. Police were called to the house by Mr. Epstein's Spanish butler. Later a senior police officer said: "We are treating it as a sudden death. I assume there will be a post-mortem examination but it is up to the coroner what further inquiries will be made." A friend of Mr. Epstein said: "He has been unwell for some months. The reason for his death is at present unknown." The Beatles were in Bangor where they were initiated at the weekend into the cult of the Himalayan mystic, Mahanshi Mahesh Yogi. Paul McCartney and his friend Jane Asher, the actress, left for London after hearing the news. The three other Beatles were waiting for cars to arrive from London to take them back there. Mr. McCartney, looking pale and distressed, said: "It is a great shock and I am very upset." A crowd began to assemble on the pavement opposite Mr. Epstein's home, in Chapel Street just off Belgravia Square, waiting for further news. Police reinforcements were called in. By this time, the coffin, accompanied by a doctor, had been carried away. Like his most famous proteges, Mr. Epstein was a Liverpool man who, after public school and a course at RADA, went into the family furniture and television business. Demands for Beatles' records led him to the Cavern Club where he agreed to become their manager. The first year's business registered a loss, but thereafter the Beatles began their climb to fame and vast earnings. 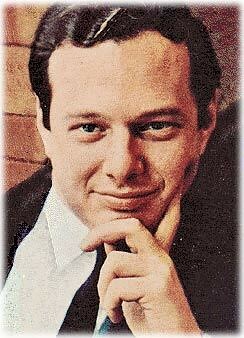 Brian Epstein was always considered as the Svengali who, by magic, created the Beatles and the resulting beat music boom. But he denied that he had "created" the Beatles, and their long-running success has proved him right in this, while reinforcing his own capacity to pick talent. He was far more the Diaghilev of Pop music than a Svengali. Indeed, his personal tastes were for the exotic, artistic, and classical. He loved classical music and enjoyed talking about it, which he could do in some depth. He was far removed from the caricature of the stage manager and, although his success gave him a life that must have been the ideal and envy of many, he was always shy and sensitive.